Good morning. It's Friday, March 29. • San Francisco could become the first city to beat HIV. • Officials ban whipping of horses after track deaths. • And artists move into a decaying town by the Salton Sea. 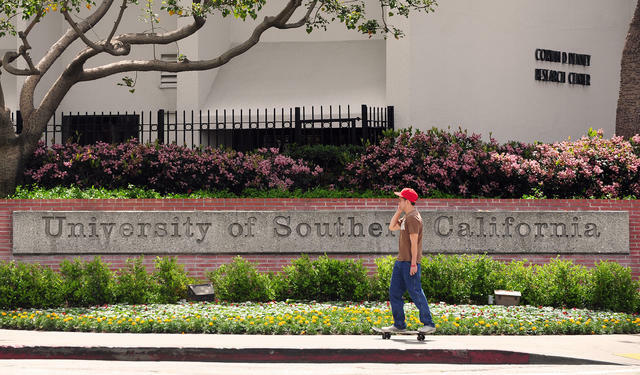 The college admissions scandal has focused scrutiny on California universities, including U.S.C. California colleges would be prohibited from giving preferential admissions to the children of donors or alumni under a sweeping reform package introduced in response to the college admissions scandal. Another proposal would bar special admissions without the approval of three college administrators. "We've all watched in complete disgust," a lawmaker said of the scandal. 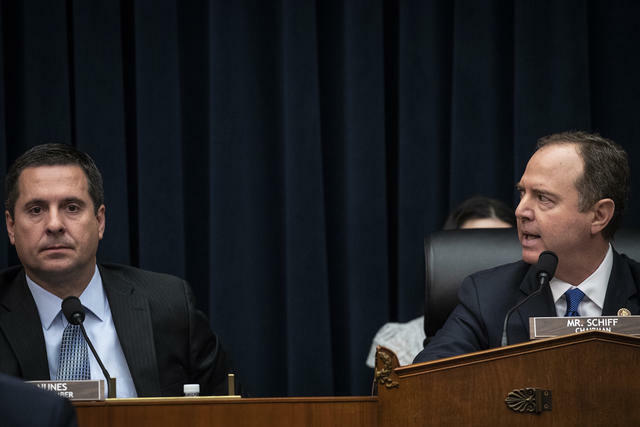 Rep. Devin Nunes looked on as Rep. Adam Schiff responded to Republican calls for him to resign as chairman of the House Intelligence Committee on Thursday. Riders at Sant Anita Park, where horse deaths have led to calls for reform. 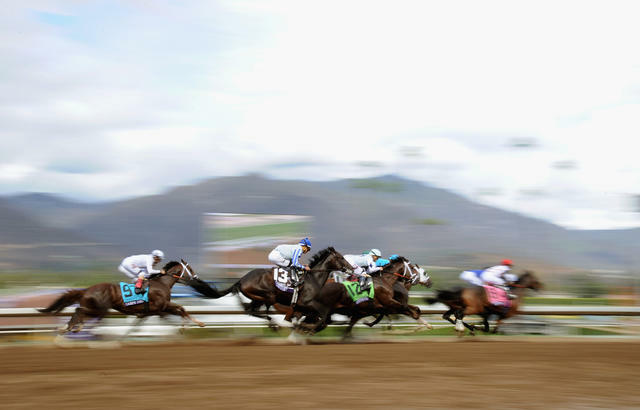 The California Horse Racing Board advanced the nation's most stringent horse whipping ban in the nation after the deaths of 22 horses in a little more than two months at Santa Anita Park. The board members, voting unanimously, rejected calls from jockeys for more study. "Going after a horse with a whip when it was obvious that the horse in question had nothing left to give is something I never want to see again," one board member said. 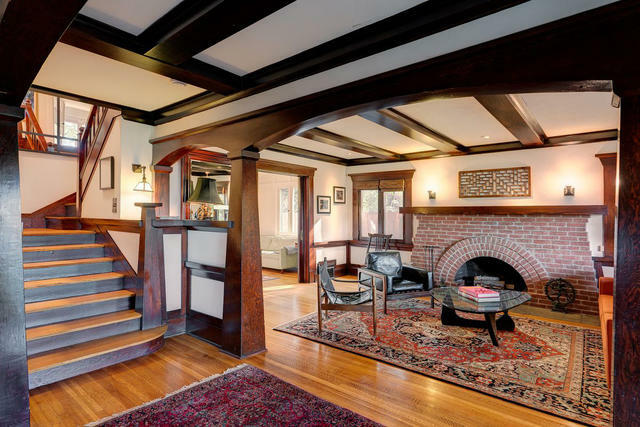 A craftsman in Koreatown is up for grabs. San Francisco is on course to be the first city in the country to eliminate new HIV infections — or at least come close. More than 2,300 new AIDS cases were diagnosed in the city in 1992. In 2017, 221 people were diagnosed with HIV, the virus that can lead to AIDS. The 2018 figures are expected to show a further decline. "San Francisco is a model for the rest of the nation," a leading social worker said. Timothy Sloan testified before the House Financial Services Committee on Capitol Hill on March 12. 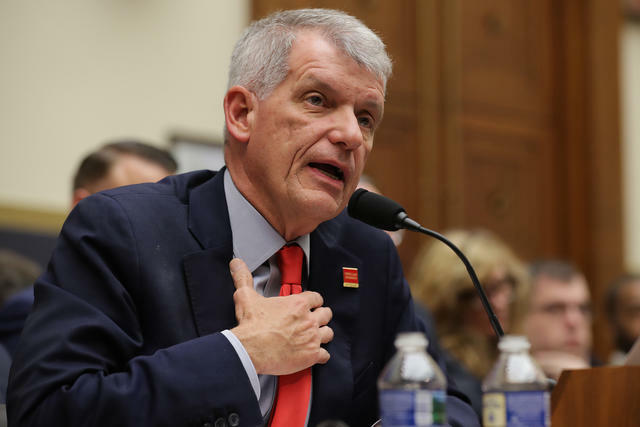 Timothy Sloan, chief executive of Wells Fargo, abruptly stepped down after years of making apologies over customer abuses. Once regarded as among the nation's best-run banks, the San Francisco institution has become a symbol what critics say are industry-wide problems. Welcoming the news on Twitter, Sen. Elizabeth Warren said Sloan should still be investigated, adding, "And if he's guilty of any crimes, he should be put in jail like anyone else." Jail guards swarmed Beau Bangert in a suicide-watch cell in 2017. A troubling video showed a group of jail guards repeatedly punching and using a stun gun on a mentally ill man at a jail in Placer County. "We're going to put you to sleep," one says. A judge this week gave final approval to a $1.4 million settlement in the case. 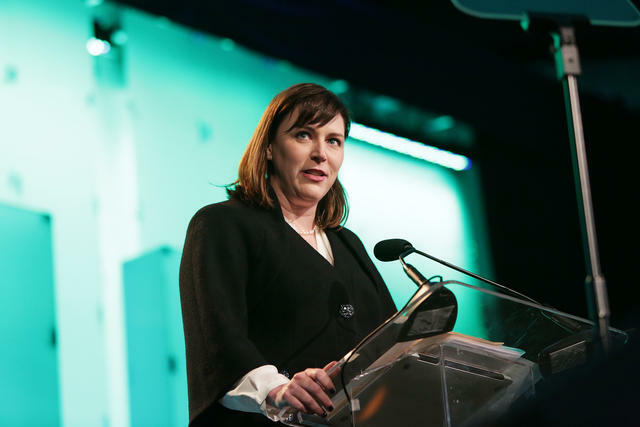 Audrey Cooper spoke at the Watermark Conference for Women in Santa Clara in 2015. On this week's California Sun Podcast, host Jeff Schechtman chats with Audrey Cooper, the editor in chief of the San Francisco Chronicle, who discusses her vision of local news and the Chronicle's future. "The problem with newspapers," she said, "is that they're typically run by people who are in love with newspapers." 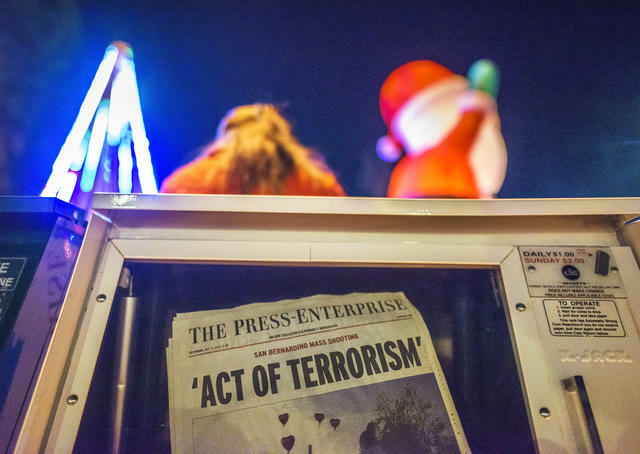 An issue of the Press-Enterprise carried news of a mass shooting in 2015. Alden Global Capital, the secretive hedge fund that owns Digital First Media, is planning to shed workers from its already stretched Southern California newsrooms. A source told the N.Y. Post that employees at the Riverside Press-Enterprise and O.C. Register, among other papers, would be offered buyouts. Digital First Media has been accused of a "mercenary" approach to the news business. It reported profits of almost $160 million in 2017. Cody Bellinger, left, celebrated with Max Muncy after hitting a home run at Dodger Stadium on Thursday. 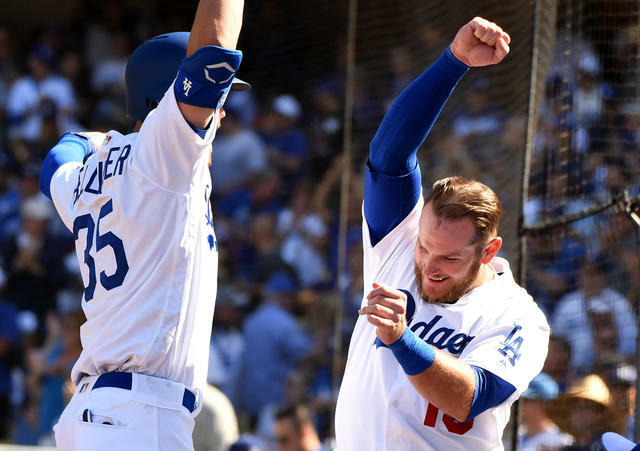 The Dodgers made opening day history, slugging eight home runs against the Arizona Diamondbacks, which set a record for the first day of the season and tied the franchise mark for any game. "I don't know if the balls are juiced or the ball is carrying," said Enrique Hernandez. "But, yeah, the ball was going far." The Dodgers are on a quest to win their first World Series title since 1988. Here's one way to enjoy the superbloom. 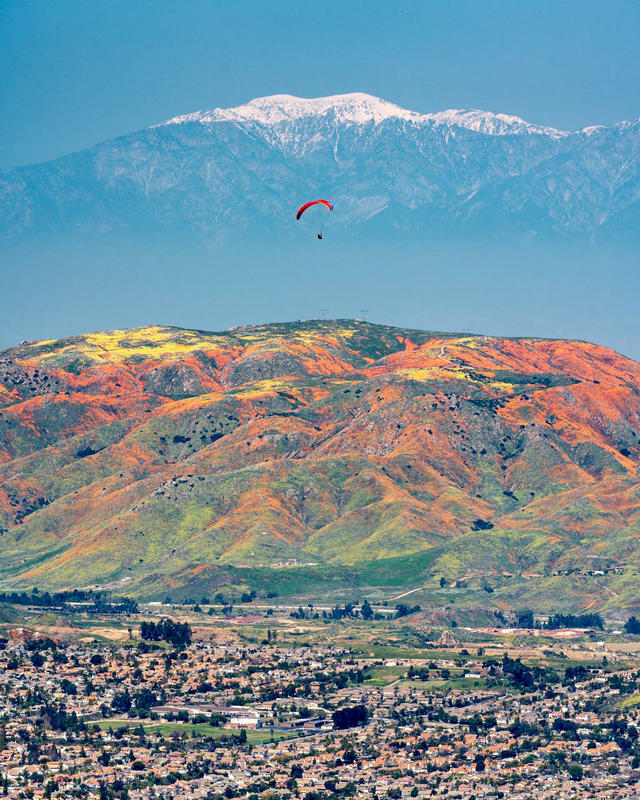 Last weekend, California photographer Kurt Lawson caught this breathtaking view of a paraglider swooping above the flower-covered hills around Lake Elsinore. "What a great joy it must have been to be flying on this day!" he wrote. The Bombay Beach Biennale has a strict rule: Everyone must participate. Decay festers all around at the Salton Sea, the inland lake that once hosted beauty pageants and boat races in its heyday as a tourist mecca. But there are also new signs of life. 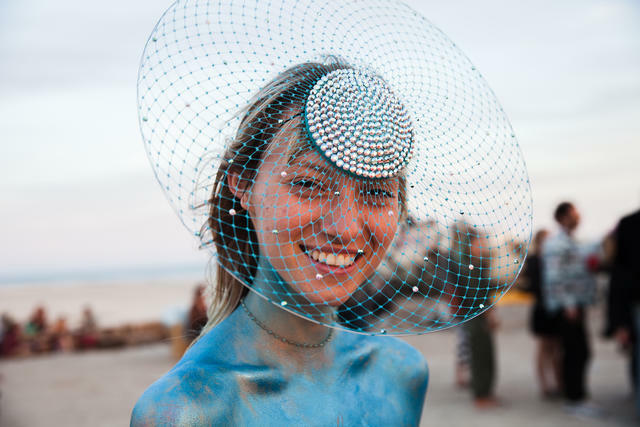 Held last weekend, the Bombay Beach Biennale included DJ dance parties, a post-apocalyptic drive-in, and dozens of art installations. Here are a bunch of photos. 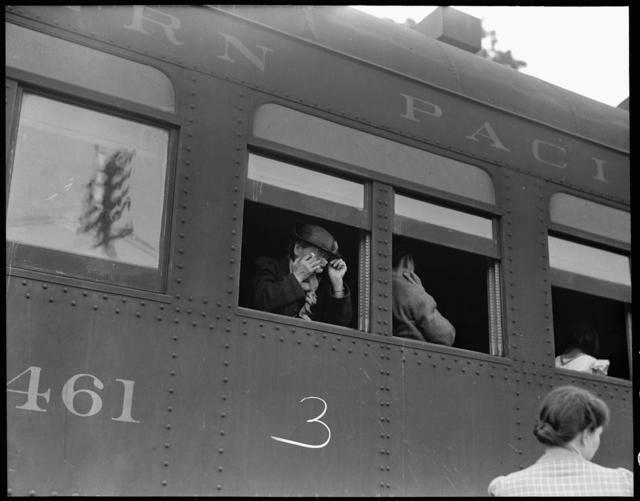 People of Japanese ancestry in Woodland got aboard a train bound for an internment camp in 1942.